Redress is a pillar of the Democratic Alliance (DA), and race is a proxy for disadvantage, DA leader Mmusi Maimane said, after the DA's federal council "unanimously" adopted the DA manifesto's position on redress and empowerment – an ideological battleground within the DA. 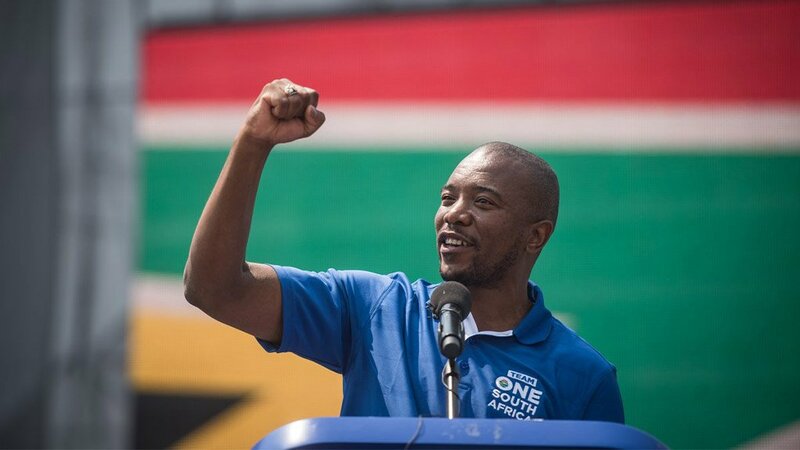 Addressing the media in Cape Town on Sunday morning, a visibly buoyant Maimane said the DA's Federal Council unanimously adopted the party’s manifesto which will officially be launched on February 23 at the Rand Stadium in Johannesburg. "At the manifesto’s core is a compelling offer to build one South Africa for all where there’s a job in every home, our communities and streets are safe, our borders are secure, basic services are delivered to all, and corruption is eliminated," Maimane said. He said the manifesto is clear on the matter of redress and empowerment. "We believe race is a proxy for disadvantage and an accurate reflection of who is still excluded from opportunity. The party has not decided to move away from race-based redress policies, however we unequivocally reject the ANC’s version of redress which operates to enrich and re-enrich the connected elite. Our offer is truly broad-based in that it seeks to break down the wall that exists been the haves and the have-nots," he said. "The current model of the ANC has been captured by clever people who run businesses and who want to keep an inside track on the matter. Why are we not considering increasing pension funds of black South Africans? Because if we don’t do that, how do we transfer wealth from one generation to another? "Our model says, educate, rather than give shares to Mmusi Maimane in your business." Later, he pointed out that he never was given any shares in a business, tongue in cheek. "Give equity to employees, educate people, develop enterprise and ultimately broaden inclusion," he said, summarising the DA's position on empowerment. He said the DA supports the principle that where there is equal competence, a black South African should get a position. He said the ANC's model of BBBEE "delegitimises" black businesses. "If you're not connected to the ANC, you're not going to benefit from BBBEE." DA deputy federal chairperson Ivan Meyer said Maimane got an ovation from the council after he spoke on the matter. The council taking this position in its manifesto can be seen as a victory for Maimane in the party's internal ideological tug-of-war. Tension between the party's traditional liberal ideologues and the purveyors of realpolitik in the party is nothing new, with the former arguing that race shouldn't be taken into consideration when dealing with empowerment or redress. It came to the fore ahead of the party's federal congress in April last year, as the "diversity clause" was debated. DA MP Michael Cardo and former MP Gavin Davis sent a letter to party delegates ahead of the party's federal congress in April last year, urging them not to adopt a proposed "diversity clause" proposed by Maimane, that, in their view, could lead to the replication of racial quotas. Rather, the party should adopt a diversity clause that represents diversity of thought, where members are treated as individuals, they argued. The neo-liberal view won the debate at the party's federal congress, and it adopted a diversity clause in the constitution and a clause that explicitly rejected quotas of any kind. Last year August, the DA's then head of policy Gwen Ngwenya said the party decided to ditch BEE. The chairperson of the DA’s federal council James Selfe disputed this. Last month, Ngwenya resigned her position as head of policy, claiming in a scathing letter to Maimane that the party doesn't take policy seriously and didn't capacitate her to do her job. However, News24 has learned that her position was tenuous, given concerns that the policy positions wouldn't be delivered in time for the manifesto and given her neo-liberal views versus the party's commitment to redress given the realities in South Africa. In 2013, the issue of BEE caused a row between then party leader Helen Zille and the DA's former parliamentary leader Lindiwe Mazibuko. Zille accused Mazibuko of getting the party's policy on BEE wrong in supporting BEE-legislation proposed by the ANC, while Mazibuko feared the party's resultant flip-flop could cost it at the 2014 elections.